It has been more than a week since the first visit and This was my second visit to Doc weissman. Sofar, he told me to keep taking the same medicine for few more days and to see if it treats my eye stye,if not i will have to take surgery for it, but for now just little improvement for eye stye. I will keep it posted and follow up with him and let you know guys. Overall, i would say that that he has positive attitude and good manner and recommend him. It has been more than a week since the first visit and This was my second visit to Doc weissman. So far, he told me to keep taking the same medicinefor few more days and to see if it treats my eye stye,if not i will have to take surgery for it, but for now just little improvement for eye stye. I will keep it posted and follow up with him and let you know guys. Overall, i would say that that he has positive attitude and good manner and recommend him. Speaking of the doctor's visit was not bad, even though i was waiting for about 30 minutes and there was 2womens that came after me and they had them in. That was not fair, whatever the doctor he was nice, humble and he answered all the questions i have, however speaking of the secretary or the women that works in front desk caused me discomfort and she was,rude and not nice, plus she misbehaved. They need to change her to someone that have a good manner and can communicate nicely and with respect. Overall, the experience was good with the doctor he showed respect and he was well behaved. Therefore, I recommend anyone to go to this Doctor. Speaking of the doctor's visit was not bad, even though i was waiting for about 30 minutes and there was 2 womens that came after me and they had them in.That was not fair, whatever the doctor he was nice, humble and he answered all the questions i have, however speaking of the secretary or the women that works in front desk caused me discomfort and she was,rude and not nice, plus she misbehaved. They need to change her to someone that have a good manner and can communicate nicely and with respect. Overall, the experience was good with the doctor he showed respect and he was well behaved. Therefore, I recommend anyone to go to this Doctor. Dr. Weissman is Chief of the Division of Ophthalmology of Caritas St. Elizabeth’s Medical Center. He is a board-certified ophthalmologist and a fellow of the American College of Surgeons. He is a former president of the Massachusetts Society of Eye Physicians and Surgeons and in 2004 he was selected as their Man of the Year. His expertise is in cataracts, intraocular lenses and comprehensive general ophthalmology. Wonderful visit: capable, experienced, and funny, Dr. Weissman is one of the best in the business! Loads of experience and education, comprehensive check up and followed up. Dr. Weissman is a genuinely kind person. I go for an annual eye exam and the process couldn't be easier or more entertaining. Yes, I said entertaining. His easy banter and gentle manner will put the most anxious patient at ease.I highly recommend Dr. Weissman for your ongoing eye care. Excellent. Dr. Weissman was very helpful and is highly experienced. He took good care of my concerns and issues. I have known Dr. Weissman for 42 years. Always a professional. Intelligent and up to date. My son was an infant when I first brought him to see Dr. Weissman. Now I too see him as I have diabetes. I trust him whole heartedly. He's wonderful. Great doctor, very professional, explained things well. Would recommend. Dr Weissman is great! Very personable and knowledgeable. I would highly recommend him. You may also get a lesson in Brighton history. Dr Weissman represents the ultimate in patient care!! Fantastic!! Personable, as well as competent. Made me feel at ease and told me the results. I am the patient of the Dr. Weissman since 2011 and can say only good things about him and his office and his pro network connection. Extremely nice Doctor,caring , compassionate - and of course an expert in the field of cataract. Great personality and sense of humor. Dr. Weissman is one of the best doctors I have been to in my life. He is extremely knowledgeable, has a great office manner and is very caring! he is a very pleasant and knowledgeable man. I always enjoy seeing him. The lady at the front office is great. Kind, polite and professional. The doctor was more witty than professional. He also recommended more than warmly the services of his neighbor optician. He might be a very good and experienced doctor butI found the attitude less serious than the circumstances allow. Dr Weissman and his staff were amazing and took very good care of me. I would recommend him (and already have) to everyone I know who needs his specialty. Loved Dr. Weissman. He saw me on short notice for an out of town emergency and was really helpful. He was also delightful personally. Definitely recommend him. Dr. Weissman was engaging and knowledgeable. He was easy to talk to and very thorough. My visit with Dr. Weissman was for a routine eye examine. He was very pleasant, told me what he was doing and why. Very personable and professional. I highly recommend Dr. Weissman. Dr. Weissman was jocular, even avuncular, with his statements and recommendations. However, the office seemed small and quiet, especially for three o'clock in the afternoon. Nevertheless, the staff member was kind — and (very quaintly,might I add) used a typewriter to record my information. The visit stretched on for some ninety minutes, and was even interrupted, but Dr. Weissman, a former president of the Massachusetts Society of Eye Physicians and Surgeons, obviously is knowledgeable about his work and likes what he does. All in all, an extraordinary visit to an amazing ophthalmologist . Very kind and knowledgeable Doctor. Got great sense of humor. I'd recommend him for everybody. He is very friendly . Irving was very kind and professional. He made me feel comfortable throughout the procedure. 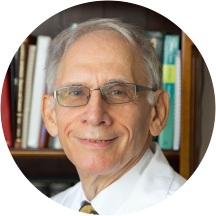 Dr. Irving Weissman is professional at his practice. He was able to help me through the procedure. Explains the process and answers all questions. He's very well organized and has good head on his shoulders. I am grateful for his expertise and highly satisfied. I have been a patient of Dr. Weissman for over thirty years and trust him to provide thorough care and accurate diagnoses. I have not been disappointed. Very thoughtful provider and very friendly, answered all my questions. I highly recommend Dr. Weissman. I waited less than ten minutes. I've been going to him for 34 years. Will be sorry when he retires. Dr. Weissman and his staff are very kind and down-to-earth, yet attentive to detail. During my visit, his office administrator was efficient, and Dr. Weissman himself was thorough with his examination but also found time to share some interestingstories about the Boston area (I've been in Boston for less than a year). His bedside manner was excellent; I felt comfortable asking him any questions and didn't feel that my appointment was rushed. I would highly recommend Dr. Weissman to anyone in search of a kind and competent eye doctor. Have been visiting Dr Weissman for 35 years and have always had a great experience. He is wonderful -the best-am so fortunate to have him care for me.